…is to fund projects that will develop transformational technologies that reduce America’s dependence on foreign energy imports; reduce U.S. energy related emissions (including greenhouse gasses); improve energy efficiency across all sectors of the U.S. economy and ensure that the U.S. maintains its leadership in developing and deploying advanced energy technologies. Optimal Operation and Management of Batteries Based on Real Time Predictive Modeling and Adaptive Battery Management Techniques. …and so on. Far be it for me to claim that any of this research is useless. It is, however, also what the people at DARPA would call “incremental,” rather than transformational. Of course, truly transformational ideas don’t grow on trees, and DARPA also funds its share of “workmanlike” projects, but at least the source selection people there occasionally go out on a limb. In the work funded by ARPA-E, on the other hand, I can find nothing that might induce the bureaucrats on Secretary Chu’s staff to swallow their gum. If the agency is really serious about fulfilling its mission, it might consider some of the innovative ideas out there for harnessing fusion energy. All of them can be described as “high risk, high payoff,” but isn’t that the kind of work ARPA-E is supposed to be funding? According to a recent article on the Science Magazine website, the White House has proposed cutting domestic fusion research by 16%to help pay for the U.S. contribution to the international fusion experiment, ITER, under construction in Cadarache, France. As I’ve pointed out elsewhere, ITER is second only to the International Space Station as the greatest white elephant of all time, and is similarly vacuuming up funds that might otherwise have supported worthwhile research in several other countries. All the more reason to give a leg up to fusion, a technology that has bedeviled scientists for decades, but that could potentially supply mankind’s energy needs for millennia to come. Ideas being floated at the moment include advanced fusor concepts such as the Bussard polywell, magneto-inertial fusion, focus fusion, etc. None of them look particularly promising to me, but if any of them pan out, the potential payoff is huge. I’ve always been of the opinion that, if we ever do harness fusion energy, it will be by way of some such clever idea rather than by building anything like the current “conventional” inertial or magnetic fusion reactor designs. When it comes to conventional nuclear energy, we are currently in the process of being left in the dust by countries like India and China. Don’t expect any help from industry here. They are in the business to make a profit. There’s certainly nothing intrinsically wrong with that, but at the moment, profits are best maximized by building light water reactors that consume the world’s limited supply of fissile uranium 235 without breeding more fuel to replace it, and spawn long-lived and highly radioactive transuranic actinides in the process that it will be necessary to find a way to safely store for thousands of years into the future. This may be good for profits, but it’s definitely bad for future generations. Alternative designs exist that would breed as much new fuel as they consume, be intrinsically safe against meltdown, would destroy the actinides along with some of the worst radioactive fission products, and would leave waste that could be potentially less radioactive than the original ore in a matter of a few hundred years. DOE’s Office of Nuclear Energy already funds some research in these areas. Unfortunately, in keeping with the time-honored traditions of government research funding, they like to play it safe, funneling awards to “noted experts” who tend to keep plodding down well-established paths even when they are clearly leading to dead ends. ITER and the International Space Station are costly examples of where that kind of thinking leads. If it were really doing its job, an agency like ARPA-E might really help to shake things up a little. Finally, we come to that scariest of boogeymen of “noted experts” the world over; cold fusion, or, as some of its advocates more reticently call it, Low Energy Nuclear Reactions (LENR). Following the initial spate of excitement on the heels of the announcement by Pons and Fleischmann of excess heat in their experiments with palladium cells, the scientific establishment agreed that such ideas were to be denounced as heretical. Anathemas and interdicts rained down on their remaining proponents. Now, I must admit that I don’t have much faith in LENR myself. 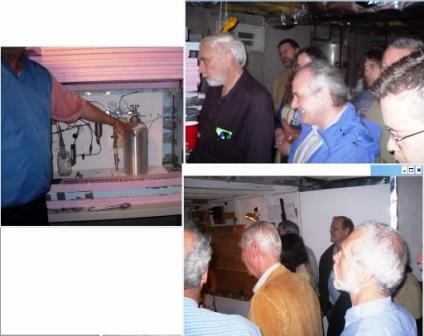 I happened to attend the Cold Fusion Workshop in Sante Fe, NM which was held in 1989, not long after the Pons/Fleischmann bombshell, and saw and heard some memorably whacky posters and talks. I’ve talked to several cold fusion advocates since then, and some appeared perfectly sober, but an unsettlingly large proportion of others seemed to be treading close to the lunatic fringe. Just as fusion energy is always “30 years in the future,” cold fusion proponents have been claiming that their opponents will be “eating crow in six months” ever since 1989. Some very interesting results have been reported. Unfortunately, they haven’t been reproducible. ARPA-E was created to be a catalyst for innovation. ARPA-E’s objective is to tap into the risk-taking American ethos and to identify and support the pioneers of the future. With the best research and development infrastructure in the world, a thriving innovation ecosystem in business and entrepreneurship, and a generation of youth that is willing to engage with fearless intensity, the U.S. has all the ingredients necessary for future success. The goal of ARPA-E is to harness these ingredients and make a full-court press to address the U.S.’s technological gaps and leapfrog over current energy approaches. The best way to “harness these ingredients and make a full-court press” is not by funding of the next round of incremental improvements in rare earth magnets. Throwing a few dollars to the LENR people, on the other hand, will certainly be “high risk,” but it just might pan out. I hope the people at ARPA-E can work up the minimal level of courage it takes to do so. If the Paris fashions can face down ridicule, so can they. If they lack the nerve, then DOE would probably do better to terminate its bad imitation of DARPA and feed the money back to its existing offices. They can continue funding mediocrity just as well as ARPA-E.
To focus on creative “out-of-the-box” transformational energy research that industry by itself cannot or will not support due to its high risk but where success would provide dramatic benefits for the nation. Apparently the source selection guys who picked the first round of 37 projects to be funded by the new office never got the word. Read over the list, and you’ll find they have a distinctly incremental, chewed over flavor. There are projects to train bacteria to produce biofuels, projects to make better batteries, projects to do a better job of removing CO2 from flue gas, etc. All very interesting, but the chances that any of this stuff will be “transformational” are vanishingly small. One project area that really is “high risk, high payoff” and potentially transformational is remarkable by its absence – cold fusion. Corrupt individuals within the US Patent Office and elsewhere continue to cover up cold fusion applications and other alternative energy inventions. ARPA-E and the DOE tricked scores of cold fusioneers to waste their time on proposals that went into the waste basket. For what reason? It is unethical that this has continued from the crash of the Exxon Valdez through the present disaster in the Gulf of Mexico. People around the world now believe that those involved in this coverup festering since 1989 should finally be held accountable. I can understand the frustration, but that sort of hyperbole is both counterproductive and wrong. I have seen no evidence that any of the individuals involved in the selection process are corrupt, or that there has been a “cover up.” Orthodox energy scientists and bureaucrats would have nothing to “cover up,” because they simply don’t believe in cold fusion. There was no attempt to “trick” anyone. What we are really seeing at ARPA-E is hidebound conservatism, ignorance of what has been going on in the cold fusion community, and the time-honored reticence of bureaucrats in all ages to stick their necks out and risk ridicule by supporting anything unconventional. I wouldn’t describe ARPA-E’s failure to fund a single one of the many cold fusion proposals it received, and its singularly bland choice of awards, as “corrupt” or “trickery.” A more appropriate adjective that comes to mind might be “pathetic.” These people have utterly and completely failed to grasp exactly what it is their organization is supposed to be doing. “High risk, high payoff?” Get real! Let’s hope they do better next time. I like to read old periodicals. They may have their own spin, but it has the virtue of being different from the all-too-familiar spin of today. Reading them also gives you a certain smug sense of superiority, because you know how things turned out. Many of them are well written and entertaining, and the authors are much more likely to tell you things you don’t already know than today’s lot. Occasionally, you run across some remarkable stuff. For example, a couple of days ago I was reading through a volume of the Edinburgh Review for 1859 and 1860. The Edinburgh was one of the two great British literary, scientific, and political reviews of the first half of the 19th century, representing the Whig point of view along with its alter ego, the Tory Quarterly Review. The volume in question had interesting pieces on the state of the British navy (Britain was heading towards catastrophe), memoirs of George IV (you remember him, don’t you), and a comparison of the burden British and American taxation (we got off lightly but had the unfair advantage of no national debt). Then I ran into something that really caught my eye; a book review of Darwin’s “Origin of Species,” written for the April, 1860 issue, and appearing less than half a year after the book was published in November, 1859. The review was obviously written by someone with expertise in the subject. He was familiar with the developments and major players in the field. Did he wonder at the revolutionary implications of the new theory? No. 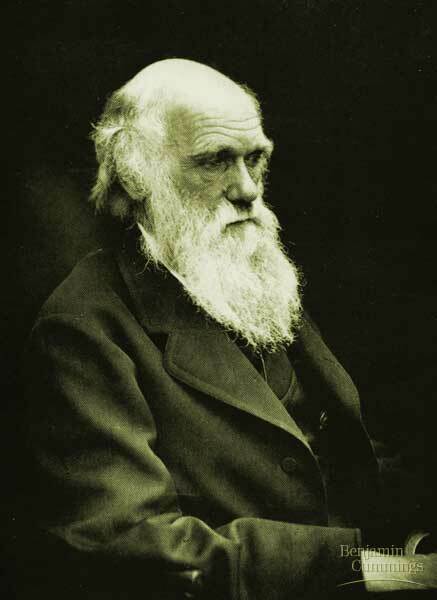 Did he applaud Darwin for the immense array of facts and personal observations he cited in support of natural selection? No. Did he congratulate the author on his elegant solution of problem that had puzzled generations of scientists for centuries? Again, no. He panned the book. Here are some examples of the anonymous reviewer’s take on what we now know as one of the most remarkable and significant theories of all times. Is it to be endured that every observer who points out a case to which transmutation (Darwin’s theory), under whatever term disguised, is inapplicable, is to be set down by the refuted theorist as a believer in a mode of manufacturing a species, which he never did believe in, and which may be inconceivable? …if its nature (the primordial life form) is not to be left wholly to the unregulated fancies of dreamy speculation – we should say that the form and comdition of life which are common, at one period of existence to every known kind and grade of organism, would be the only conceivable form and condition of the one primorial being from which “Natural Selection” infers that all the organisms which have ever lived on this earth have descended. Now the form in question is the nucleated cell. But do the facts of actual organic nature square with the Darwinian hypothesis? Are all the recognised organic forms of the present date, so differentiated, so complex, so superior to conceivable primordial simplicity of form and structure, as to testify to the effects of Natural Selection continuously operating through untold time? Unquestionably not. The most numerous living beings now on the globe are precisely those which offer such a simplicity of form and structure , as best agrees, and we take leave to affirm can only agree, with that ideal prototype from which, by any hypothesis of natural law, the series of vegetable and animal life might have diverged. In a word, while it is clear from the review that the author is what passed for an expert in the field in those days, he was utterly lacking in imagination. He couldn’t conceive of anything “simpler” than the single-celled life forms described by the microscopists of his day. But here lies the fallacy: it merely proves that species are changed, it gives us no evidence as to the mode of change; transmutation, gradual or abrupt, is in this case, mere assumption. Now, in those days, it was the fashion for the writers of reviews to remain anonymous. Of course, it is hardly to be expected that Darwin’s biographers would have failed to notice a piece as significant as the one addressed here. In fact, they did not fail to notice it, and, in the fullness of time, they managed to identify the anonymous author. It was none other than Professor Owen himself! It appears the learned professor was not at all pleased by being upstaged by an upstart like Darwin, and conceived a life-long hatred for him. Darwin was lucky. His theory was too compelling to be dismissed with a wave of the hand by stalwarts of the scientific establishment like Owen. However, he represents a phenomena that has hardly disappeared in our own day. 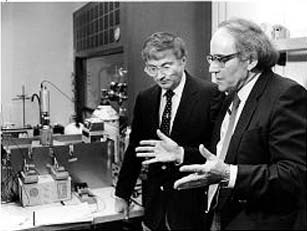 An interesting manifestation thereof closer to our own time was the furious reaction of the prevailing experts to the announcement of cold fusion. In that case, the result was different. Intriguing hints of some as yet unknown nuclear process were reported from all over the world – but the experiments weren’t repeatable. The old guard won. Or at least they won for the time being. Experiments continue beneath the radar of “those who know better” in the field, and new intriguing hints continue to turn up. It may well be the cold fusion crowd has been chasing a chimera all these years. On the other hand, there’s a finite chance that the last word has still not been spoken on the legacy of Pons and Fleischman. I suppose the moral of the story is that it’s a good idea to keep an open mind. Occasionally it turns out that the upstarts were right all along. Update: Anne Sasso has some interesting thoughts on the reaction of the scientific establishment to game-changing new insights and theories at the Science Magazine website.